A controlled grassland fire is planned for Tuesday for Pennsylvania Game Lands in Butler County. Weather permitting, the burn will take place on State Game Lands 95, which is in the area of Moniteau High School. 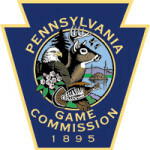 The public can expect to see smoke between 11 a.m. and 4 p.m.
Chip Brunst is the Pennsylvania Game Commission’s Northwest Region information education supervisor. He says the burning of the grasslands helps to reduce the buildup of dead grass and leaves, as well as control woodland growth and invasive plants. At least a dozen Game Commission employees will be involved with this effort to improve and preserve wildlife habitat. The land was last burned several years ago and no other grassland burns are planned in Butler County at this time.